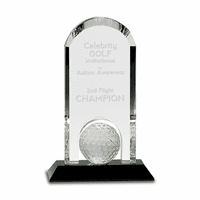 FEATURES/SPECS This is an elegant way to award your golf tournament champions in style! 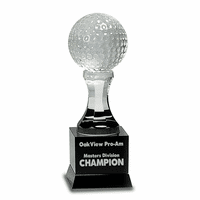 A clear beveled crystal top is etched with a golfer in full swing'and the golf ball headed your way in the forefront of the crystal! 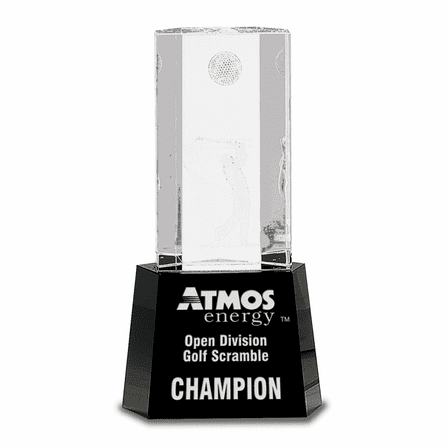 It's 8 '' tall, and set on a jet black engravable pedestal, where you can put your winner's name and title, and your golf club organization or corporation logo as well. 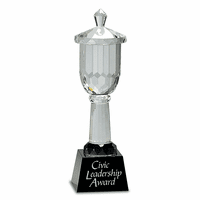 Of course, laser engraving is free with purchase of this award. 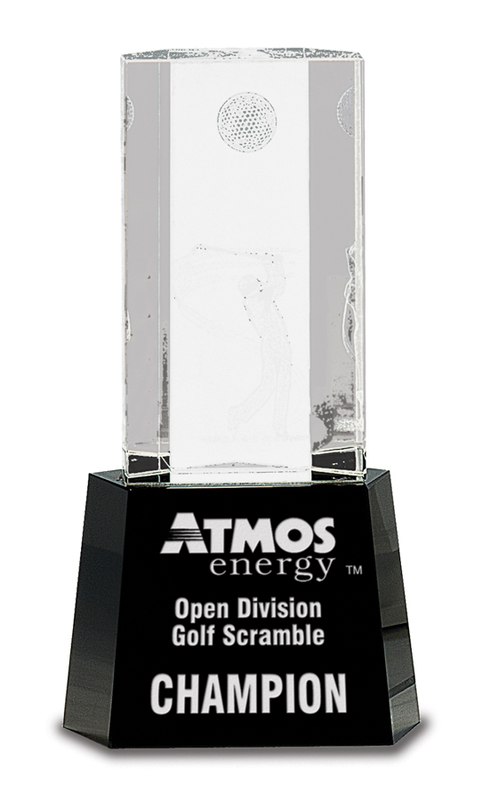 So, whether you're having a large annual tournament, or a local round robin or scramble, this award will delight your winners and is sure to be displayed on their desk, or behind the bar in their 19th Hole Entertainment Room! 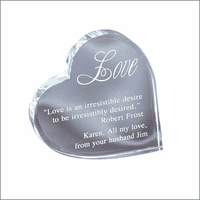 It comes attractively packaged in a gift box for your presentation and, as always at the Executive Gift Shoppe, you have our Satisfaction and Performance Guarantee!